Fall Burlap Pillow Sham Cover Blowout Only $12.99! You are here: Home / Great Deals / Fall Burlap Pillow Sham Cover Blowout Only $12.99! Unleash your Southern Decorating Diva with these Fall Burlap Pillow Sham Covers for Only $12.99! Fall is just around the corner, and that means new DECOR!! 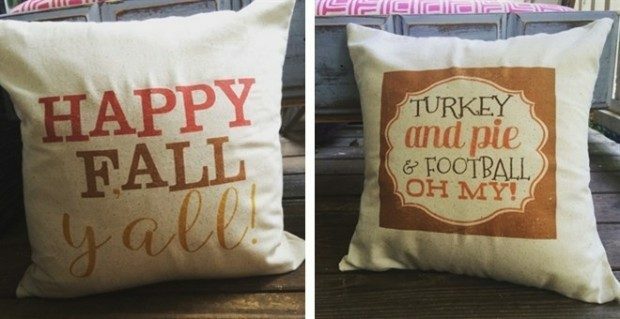 Change out your summer time pillows with some cute fall pillow covers. Our pillow covers are American made and fits a 16 x 16 pillow.